Dig deeper into the properties of phases and phase diagrams. First, see how a flask of water can be made to boil by cooling it. Then, explore why a curve in a phase diagram has a certain slope. 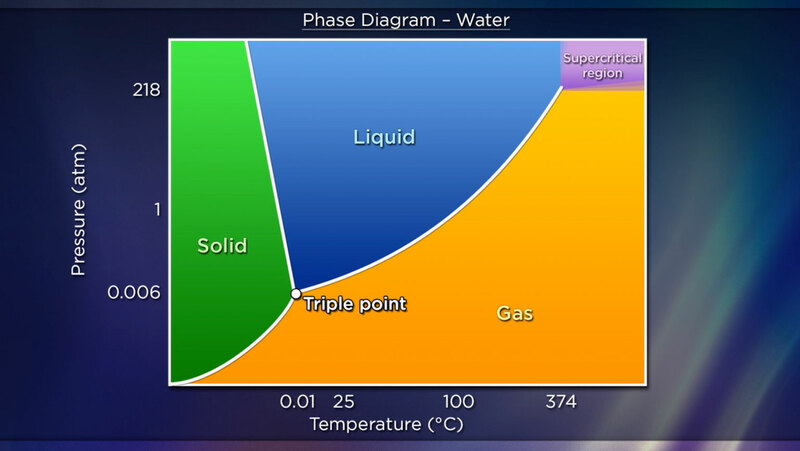 Close with a multicomponent phase diagram that explains why salt causes ice to melt. To Mix, or Not to Mix?